The International Criminal Court (ICC) has an ‘Africa problem’. The Court is widely perceived as a Western, neo-colonial institution that unfairly targets African states. The ICC and its champions insist this isn’t the case. The Court is simply misunderstood and is, in fact, a court for not against Africa. In the first part of this three-part series, I detailed how the Africa-ICC relationship is mired in an unhelpful and harshly dichotomous impasse. All of the relevant actors – African states, the ICC, and observers of international criminal justice – are complicit in reinforcing this stalemate, one which does more to obfuscate than illuminate the intricate and complex relationship between African states and the ICC. In this second post, I will explore three recent cases that demonstrate that the relationship between African states and the ICC is far more dynamic and complicated than typically portrayed. The view that the ICC is either a neo-imperial tool of the West or a misunderstood force for good does injustice to our ability to understand and assess how African states engage and interact with the Court. Earlier this year, Dominic Ongwen was captured in the Central African Republic and surrendered to the ICC. For nearly two decades, Ongwen had been a senior commander in the Lord’s Resistance Army (LRA), a notorious rebel group that has been engaged in a brutal war with the government of Uganda since 1986. He was also one of five individuals indicted by the ICC in 2005 – and one of only three who is still alive. As many readers will know, the initial investigation into the war in northern Uganda was the ICC’s first intervention and one that proved particularly controversial. Set against widespread acknowledgement that both the LRA and government forces have committed mass atrocities, there is a broad consensus amongst northern Ugandans as well as external observers that the Court wrongly targeted only LRA rebels and thus demonstrated a bias in favour of the Ugandan government. This selective targeting of LRA commanders has legitimated the government of Uganda by helping to foster a narrative that presents the government as a ‘good’ and ‘legitimate’ force, fighting against an illegitimate band of crazy criminals. However, despite benefiting tremendously from the ICC’s intervention, Museveni has emerged as the harshest critic of the ICC amongst African heads of state. Thus, when it emerged that Ongwen had been captured, many wondered what the government would do. Which Museveni would stand up? Would Museveni cooperate with the ICC or not? The story itself is worth recounting as it demonstrates just how many moving political pieces were at play in what has otherwise been treated as a simple surrender to The Hague and victory for the Court. To begin, we need to take a step back. A few years ago, the United States put what amounts to a bounty on Ongwen’s head through an expansion of the US State Department’s Rewards for Justice Programme. As a result, anyone who provided information that would lead to Ongwen’s capture could receive up to $5 million. This became problematic when it emerged that Séléka rebel forces, which have allegedly committed mass atrocities and stoked genocidal violence themselves, had captured Ongwen and transferred him to the custody of US forces in the Central African Republic (CAR). Of course, the US will not pay the bounty. Washington can’t be seen to be providing funds to a rebel group whose brutality is akin to that of the LRA itself. Rather cunningly, the US government insists that Ongwen was not captured but defected from the LRA. The government is thus presumably off the hook in terms of any bounty payment. Once Ongwen was in the custody of US troops, there were seemingly two possible scenarios: either the US forces could surrender him directly to the ICC or they could transfer him to the custody of the Ugandans. Neither transpired. First, the US could not surrender Ongwen to the Court. Old anti-ICC legislation from the Bush era, the American Service-members’ Protection Act (2002), prevents the US from providing any material aid to the Court. So that nixed the first option. Second, the government of Uganda decided that it did not want Ongwen to be transferred to Uganda, nixing the second option. Instead, a crafty new plan was hatched: the US would transfer custody of Ongwen to the CAR military, which would then surrender him to the ICC. But why would the Ugandan government not want custody of a prized LRA leader? And why would Museveni allow Ongwen to be transferred to the ICC, an institution he insisted “blackmailed” African states? Firstly, putting Ongwen on trial in Uganda would have been a massive political headache for the government. Ongwen was 10 or 14 (it isn’t clear) when he was abducted by the LRA. He then spent twenty-some years fighting in the bush. The fact that Ongwen was a child soldier and thus an LRA victim has re-ignited a passionate debate in northern Uganda, where many, if not most, citizens still support granting an amnesty and re-integrating former rebels who were abducted as children. Had President Museveni insisted on keeping Ongwen, he would have had to prosecute Ongwen – thus attracting the ire of many northern Ugandans. Doing so would also run directly counter to Museveni’s political interests. His party, the National Resistance Movement, would have risked reversing many of the political gains it has made in northern Uganda in recent years. Instead, Museveni can now stand aside as northern Ugandans criticise the ICC for prosecuting a former child soldier. Not only that, but Museveni can claim that he did not, in fact, have anything to do with Ongwen’s surrender. After all, it was the CAR authorities who sent the diminutive former rebel off to The Hague. Secondly, by allowing the ICC to get its hands on Ongwen, Museveni ensured that the Court would be dependent on him for cooperation in building the case against Ongwen, protecting witnesses and, potentially, holding some trial proceedings in Uganda. For the government, this is crucial. As long as the ICC is reliant on Uganda for cooperation, Museveni can rest assured that the Court will not target him or any army officers. After all, targeting them would immediately eviscerate any cooperation. In short, despite being a vociferous critic of the Court, Museveni managed to play hot potato with Ongwen’s fate and outsource responsibility over him to the ICC for reasons of political expediency. Doing so ensured that the Museveni’s domestic political gains in the north were preserved and that the government would continue to enjoy impunity. This story, however, simply does not fit within the dominant narrative of the ICC as a neo-colonial institution targeting African states. In a development that captured global attention earlier this summer, Omar al-Bashir, the president of South Sudan and the only individual wanted for every core crime at the ICC – war crimes, crimes against humanity and genocide – made a very controversial visit to an AU summit in South Africa. The popular reaction was to invoke the crisis mentality that I outlined in my previous post. Did Bashir’s visit demonstrate that the ICC is irrelevant? Could the institution survive this crisis? No one can argue that Bashir’s visit wasn’t a low point for the Court. While this wasn’t the first time that Bashir had travelled to an ICC member state (the Sudanese leader had previously visited the Democratic Republic of Congo, Kenya and Nigeria), Bashir’s visit to South Africa was somehow worse because the country has traditionally been a strong supporter of the ICC and is a significant regional leader (not to mention a growing international power). But we need to take a deeper look at what actually happened when Bashir visited. First, it was apparent that Bashir had to skulk around the Summit conference. Unlike his fellow leaders, he received no red carpet treatment and no photo-ops with South African officials. In fact, Bashir really only showed his face the day after his arrival – during a group photo session that was delayed by five hours. Second, the South African court system did precisely what proponents of justice would want of it. In response to Bashir’s arrival, a human rights law firm filed a motion to order Bashir’s arrest at a high court in Pretoria. In response, the Court ruled that Bashir could not leave the country until it decided whether or not South Africa had an obligation to arrest him. In the meantime, Bashir’s plane was moved from a civilian airport to a military base, apparently because it provided a legal loophole for South Africa to allow him to depart in defiance of the court order. On the final day of the summit, the high court ruled that South Africa did have an obligation to arrest Bashir. By that point, Bashir had already left, leaving government lawyers with no option but to roll out pitiful excuses about how Bashir was able to leave – something they continue to do. Still, it is worth highlighting that Bashir was the only African leader who had to flee South African rather than return back home following the summit. Moreover, the ruling now makes it virtual impossible for Bashir to ever return to South Africa. The high court’s decision set a precedent and clarified the international and domestic legal obligations of South Africa – something the government simply can’t ignore or wish away. Third, it is important to note that the government did not say that it had no obligations or that the ICC was irrelevant. Rather, government lawyers attempted to make the argument that South Africa had conflicting legal obligations to the African Union and to the Court. Lawyers can debate whether this is true, but in interpreting its obligations to the ICC, South Africa reaffirmed the fact that those obligations exist and, in doing so, likely strengthened rather than weakened international criminal law. Again, I don’t want to say that everything is now hunky dory. It isn’t. Moreover, there are important questions that remain unanswered. Most importantly, why did South Africa think hosting Bashir was worth it? Why did the government believe that receiving a landslide of criticism and condemnation from states, the media, and human rights groups in and outside the country, was a price worth paying for Bashir’s visit? Is South African playing off its potential permanent seat in the UN Security Council against its leadership role in the African Union? If we are to accurately answer these question, we must avoid overly simplistic accounts of South Africa’s relationship with the ICC and instead interrogate the political calculus that the government made. One of the most contentious issues that has arisen between African states and the ICC is the question of head of state immunity. Indeed, African states and the African Union have been almost exclusively critical of the ICC when heads of states have been the Court’s primary targets in Libya, Sudan and Kenya. Secondly, while it did take some time for him to be surrendered and not all states were keen, we should also recall that former Liberian President Charles Taylor was prosecuted and convicted for war crimes at the Special Court for Sierra Leone. Once he was put in the dock, no African state, to the best of my knowledge, complained about it. Thirdly, and turning to the ICC, in the wake of the 2011 post-election violence in Côte d’Ivoire, the freshly ousted President, Laurent Gbagbo was shipped off to The Hague where his trial for war crimes and crimes against humanity is soon to commence. Not to berate the point, but again, no African states have complained about the fact that a former head of state is set to be prosecuted at the ICC. Lastly, all three of the African states on the UN Security Council in 2011 (South Africa, Gabon and Nigeria) voted in favour of Resolution 1970, referring the deteriorating situation in Libya to the ICC. Later, some African states criticised the ICC’s intervention and even called on the Security Council to defer the Court’s investigation for at least a year. But it would be disingenuous of those states and, quite frankly, disrespectful of observers, to maintain that these states did not know that Gaddafi would be the primary target when that referral was passed. That was simply too obvious – the resolution itself listed all of the Court’s eventual targets! Ultimately, African support and criticism of international criminal justice is selective. And why would we expect it not to be? Indeed, which states are not selective in their support of international justice? The answer is simple: none. Here, there is some danger in holding African states to a higher standard when it comes to selectivity, insisting that African states should somehow be less selective or less political in their engagement with the Court. Doing so would truly be biased and unfair. None of the cases described in this post can be explained by relying on the dominant understanding of the Africa-ICC relationship, that the ICC is either a neo-colonial tool unfairly picking on African states or that it is a misunderstood “court for Africa”. When actual cases don’t fit with dominant thinking, there’s an obvious need to reframe the debate and ask a new set of questions. But that, of course, is the subject for next week. 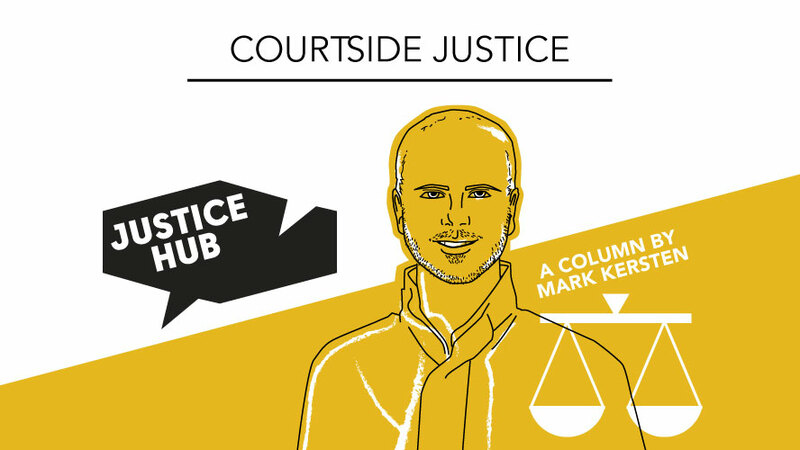 Courtside Justice is a bi-monthly column by Mark Kersten, the creator of Justice in Conflict, looking into the politics and dilemmas of international justice. 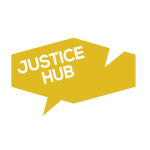 Whither ICC Justice in Mali?